The IDF is prepared for a new reality in the Golan, retired general says. Region currently ‘volatile'. 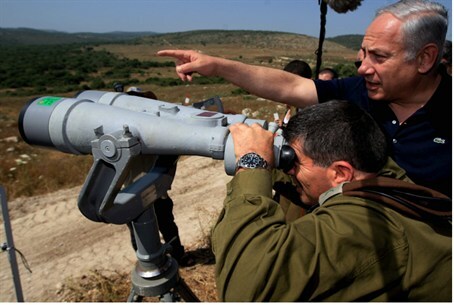 The IDF is prepared for a new reality in the Golan as Syria continues to descend into chaos, Brigadier-General (ret.) Kobi Marom told Arutz Sheva. “It’s a problematic reality, and the IDF has prepared accordingly,” he continued. Regarding Israel’s recent decision to provide medical care to several wounded Syrians, Marom said there is no reason to fear that the move will open the doors to a potentially dangerous flood of refugees from Syria, which remains officially at war with Israel. “It was a one-time humanitarian gesture,” he said. Marom noted that the conflict in Syria has pushed many Druze residents of the Golan closer to Israel. Many have requested Israeli citizenship, he said. “In the past they had a connection to Syria and they weren’t interested in [citizenship], but today many Druze are requesting Israeli citizenship because of the uncertainty and the desire to be connected to a stable Israeli government,” he explained. “There are hundreds of students who used to travel to Damascus to study, and today they prefer to go to Tel Chai or Haifa,” he added.